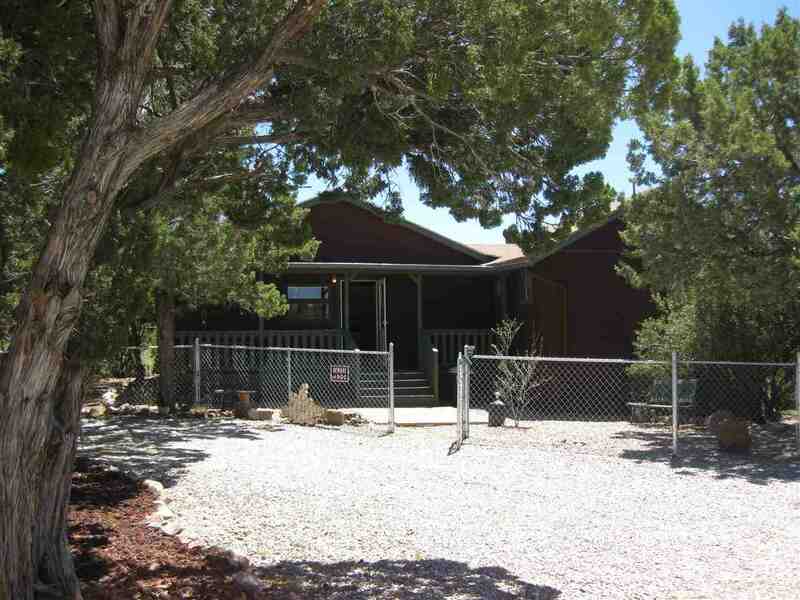 Take a look at this possible 2 bedroom, 2 bath cabin with tons of warmth and charm. Beautiful, private yet easy access with views into tomorrow. Fully fenced with chicken coops, rabbit pens and dog runs. Steps away from the Lincoln National Forest land. Almost at the dead end of a short private road that starts by the Lions Club. The property features a wood stove, 2 walls of windows, porches & decks that faces south. Updated baths and kitchen and a detached studio/workshop. Nice furnishings convey.